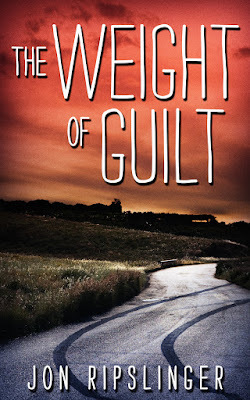 The Weight of Guilt is an intense, heavy read-- I think the title is very appropriate. The story is very fast-paced, but I had a difficult time becoming as immersed as I had hoped. The first few chapters especially just didn't resonate with me. However, once Megan disappeared, things got interesting. I found Megan to be immensely annoying, so I think that was the reason I didn't like the earlier chapters as much. There were lots of secrets in Megan's past which made the mystery interesting and twisty. I stated earlier that I liked the scenes from John's POV the best. While that's true, I also have to say that he was a troubled, burdened character. The weight of his burden was almost palpable as I read. The ending didn't really surprise me, but I do think Mr. Ripslinger did a great job building the suspense until the big reveal. Though there wasn't a lot of graphic violence, I would have to rate this as upper YA due to the subject matter. Dark and character-driven, I think this novel will appeal to mature teens. 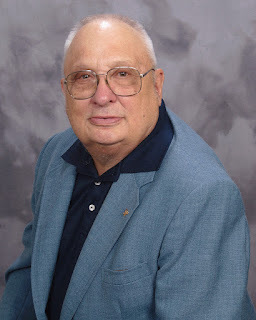 After Jon retired as a public high school English teacher, he began a career as a young adult author. His credits include eight published YA novels, including Red Adept's The Weight of Guilt. His wife and he live in Davenport, IA, where their six children and their families also live. Jon and Colette are the proud grandparents of twelve granddaughters, a grandson, and three great grandchildren. When not working on the computer, crafting his next YA novel, Jon enjoys playing pool and spending time with his family. Kimber, thank you for jointing THE WEIGHT OF GUILT blog tour and for posting a review. All is greatly appreciated. Cheers! Thank you for reviewing and hosting today!